"Hitman" hopes: Summer may be winding down, but it's not over till it's over. Last weekend's $56.1 million launch for Universal and Legendary Pictures' music biographical drama "Straight Outta Compton"sent boxoffice temperatures soaringwith the biggest August opening ever for an R rated film. It shows just how valuable late summer playing time can be for the right kind of movies. Those on hand, according to the boxoffice analysis firm Rentrak, were 60 percent male and 54 percent over 25 with a huge 75 percent saying they would definitely recommend it. With that kind of word-of-mouth, "Compton" should have strong boxoffice legs. 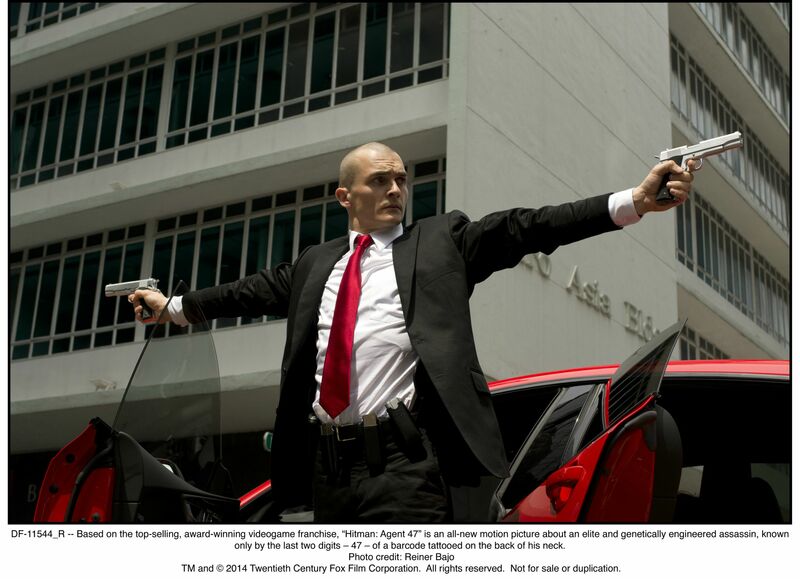 "Compton's" success brings high hopes now for the next R rated action film -- 20th Century Fox's "Hitman: Agent 47,"opening this weekend at about 3,100 theatres. "H47,"a crime thriller from first-time feature director Aleksander Bach, stars Rupert Friend, Hannah Ware and Zachary Quinto. It should play best to adult male action movie fans. 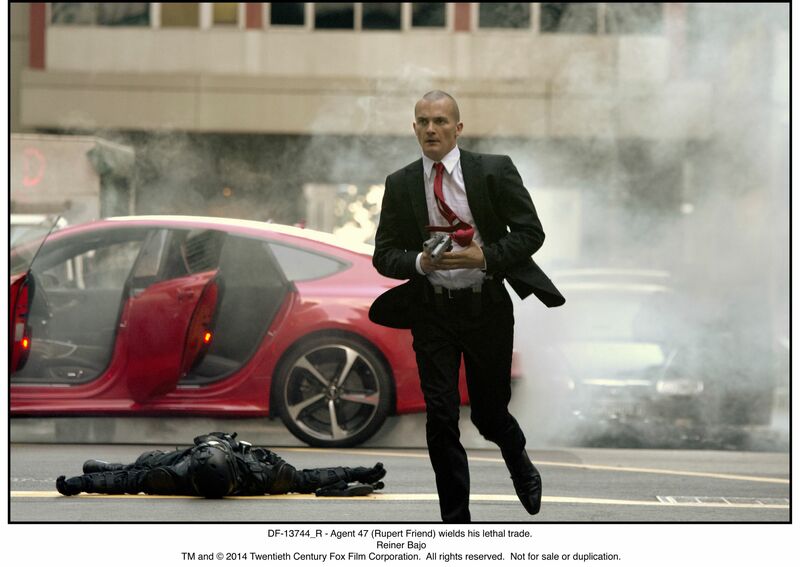 The film's storyline hinges on Agent 47 (Friend), an elite assassin genetically engineered to be the perfect killing machine and known only by the last two digits of the barcode tattoo on his neck. His target is a mega-corporation seeking to unlock his secret past to create its own army of killers with even greater powers. After 47 teams up with Katia (Ware), who may hold the secret to overcoming their powerful enemies, he confronts his own origins and engages in epic battle with his deadliest foe. Unlike earlier arrivals this summer that were based on comic books or vintage television shows, "H47's" roots are in the popular videogame of that name. A previous feature version, "Hitman,"was also based on the videogame. It opened Nov. 21, 2007 via Fox to $13.2 million and went on to gross $39.7 million domestically. Directed by Xavier Gens ("The Divide"), it starred Timothy Olyphant, Dougray Scott and Olga Kurylenko. The series reboot was originally going to star Paul Walker, who died in a tragic car crash not long before production was to have gotten underway.The film was to have opened last Feb. 27, but was pushed back about six months to Aug. 21. That was a smart move since it gave "H47"18 days – including three weekends -- of valuable summer playing timethrough Labor Day (Mon., Sept. 7). Moviegoing over the Labor Day holiday weekend is affected by weather conditions across the country. Along the East Coast and in the Mid-West, rain often wipes out plans for outdoor activities like beach visits or picnics and sends people heading to the movies. If Mother Nature cooperates, "H47" could benefit at the boxoffice. As we just saw with "Compton," male action fans will turn out in force in mid-August for films they really want to see. So "H47"could keep the late summer multiplex momentum going. Earlier this summer at San Diego's Comic-Con, Zachary Quinto spoke at a press conference about shooting"H47"in Berlin and Singapore. The film features some challenging stunt sequences for Quinto's character, villainJohn Smith, who headsthe International Contracts Agency. 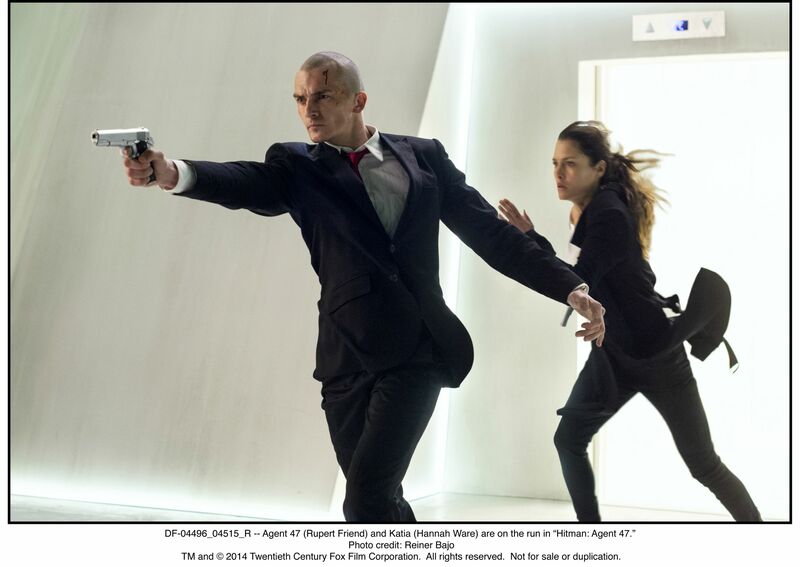 "Basically, the story is a really large-scale, high-stakes action film, which is rooted in the relationships and the dynamics between these three characters that are played by Hannah, myself and our third and most important ally in this, Rupert Friend, who plays Agent 47," Quinto explained. "It's a real triangle. Basically, Katia is searching for someone and my character, John Smith, presents himself to her, in an effort to help her find who she's looking for. But, nothing is what it seems with these people. All of us are serving agendas that are sometimes at odds with what we are presenting. It's tough to be more specific than that because than the experience becomes jeopardized for the audience." Asked about shooting in Berlin and Singapore, he replied, "We shot the first two-thirds of the movie in Berlin, and then we moved the whole thing to Singapore for the last three weeks. We were in Berlin for about two months. You couldn't really get more different, as far as cities are concerned, in terms of lifestyle and architecture. It was an amazing experience to be in both places and to bring them to life and to capture them as well as they did." With films based on comic books, actors have a lot of material to work with in preparing to bring their characters to life on the screen, but there's much less to start with when a film stems from a video game. "The character that I play in the movie exists in the world of the video game, but in a peripheral way," Quinto pointed out. "For me, it wasn't about playing the video game to understand the character. I think Rupert actually really did go into the game a little bit and explored the world through the game. He is the titular character, so it makes sense for him. But prep for any role in any movie is very different, depending on what's required. The physical aspects of these characters became really important, in how they present themselves to the world, but what's really going on may be something different. "And then, there were all of the action sequences, so there was a lot of stunt training and prep work. It was really fun, actually. It was really challenging, but we had to throw ourselves in, headlong. It's always a good thing, when you're forced to do that." As for his most challenging stunt, Quinto said it was"one where there was close-range gunfire. It was interesting because we used actual guns. I was close, with a gun going off in my direction. I've shot guns before and been shot at, but I've never worked so intensely with handguns. I'm not a real big fan of handguns or weapons, in general, which is ironic, considering the type of movies I've done. But that, for me, was the most interesting challenge on the stunt side 'cause I've never done anything like that." Looking back at the 2007 version of "Hitman," he observed, "It's eight years on, since they made that movie, and technology and cinematography have evolved, in a lot of ways. I think it's very different, visually. There's a scale to this movie and a dynamic to it and a sleekness to it that separates it from that previous film. "But, times are different and appetites have changed and people have higher expectations for visual effects and special effects. I think that's what this movie is based in. It's what it's really trying to pursue, at the same time that it's trying to be something rooted in character and the dynamics of those relationships." Also on deck for this weekend is Lionsgate's R rated action comedy "American Ultra," opening at about 2,600 theatres. Directed by Nima Nourizadeh ("Project X"), it stars Kristen Stewart, Jesse Eisenberg and Topher Grace. "Ultra" should play best to under-25 males and females, so it's good counter-programming to the more adult male appeal "H47." This weekend will also see Focus Features/Gramercy Pictures and Blumhouse Productions' R rated horror thriller "Sinister 2"open at about 2,600 theatres. Originally set to arrive Aug. 21, "S2"was pushed back to Aug. 28,but then was returned to Aug. 21, giving it a valuable extra week of summer playing time. Directed by Ciaran Foy ("Citadel") and stars Shannon Sossamon, James Ransone and Nicholas King. Like most horror films, "S2's" core audience should be under-25 females, which is also good counter-programming to "H47." The first "Sinister"episode, which reportedly cost just $3 million to produce, opened Oct. 12, 2012 via Lionsgate to $18 million. It went on to do $48.1 million domestically. Bottom line:A last blast of late summer boxoffice action is exactly what Hollywood hopes to see.